You know, we got an e-mail (or 10) from Merlin the other day, expressing his grief that many people these days seem to incorrectly think that a certain young wizard (who shall not be named) practically invented the genre of magical literature. Don't worry, Merlin, we got 'ya. Now it's your turn to slip into this blue tunic and matching robe and don this perfectly pointed cap. 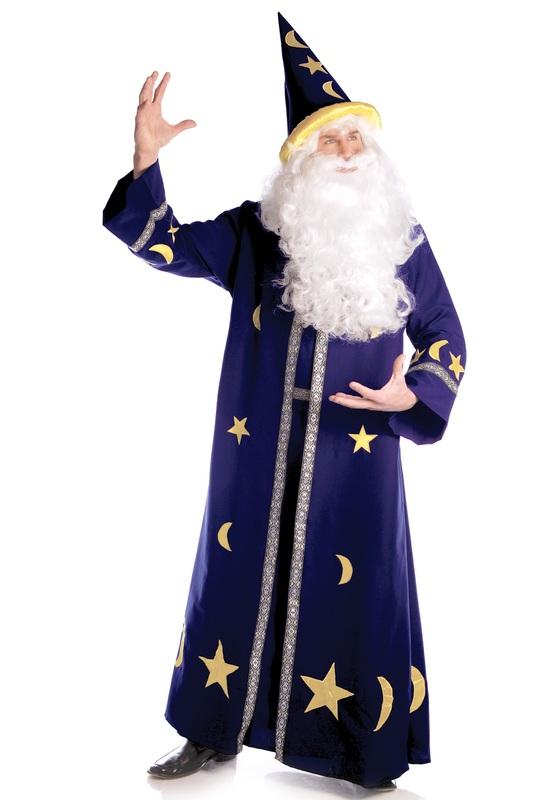 Show your solidarity for old-school sorcerer style! 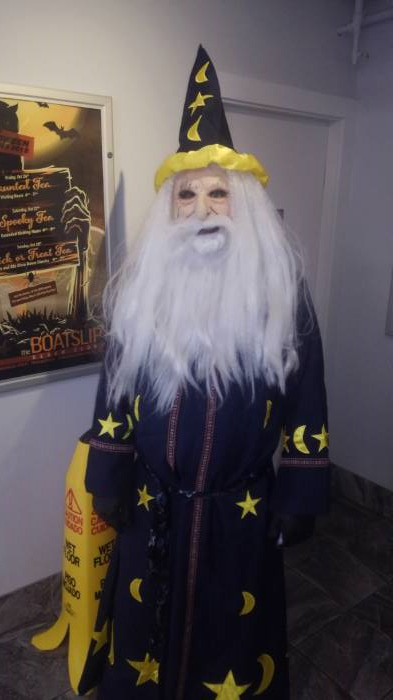 It's really a win-win: you get to embody the star-and-moon look of one of the most powerful wizards of all time, while Merlin gets to save the energy he's spending emailing us and finally write the sequel to his magical myth. Publishing contract pending.